Nintendo Switch hra - Yoshi's Crafted WorldPre zariadenia:Nintendo Switch. Nintendo Switch One hra Shaq Fu - A Legend RebornPre zariadenia:Nintendo Switch. PS4 hra Assassins Creed OdysseyPre zariadenia:Playstation 4. PS4 hra DoomPre zariadenia:Playstation 4. 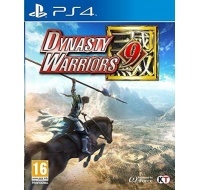 PS4 hra Dynasty Warriors 9Pre zariadenia:Playstation 4. PS4 hra Jurassic World EvolutionPre zariadenia:Playstation 4. PS4 hra Just Dance 2019Pre zariadenia:Playstation 4. PS4 hra NieR: Automata Game of the Yorha EditionPre zariadenia:Playstation 4. PS4 hra Resident Evil 2Pre zariadenia:Playstation 4. PS4 hra Sniper Elite 4Pre zariadenia:Playstation 4. SONY PS4 hra Arizona SunshinePre zariadenia:Playstation 4. SONY PS4 hra Astro BotPre zariadenia:Playstation 4.